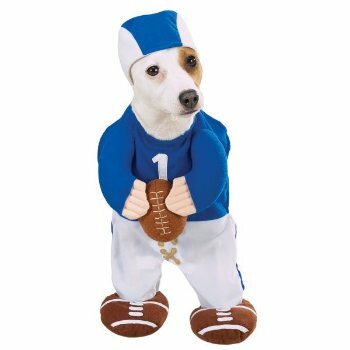 Now your dog can look like an ALL-STAR DOG with this boy Dog Football player costume. He'll be the only tailgater with a tail! Football helmet included. This Pet Costume is Machine washable and easy on and off.